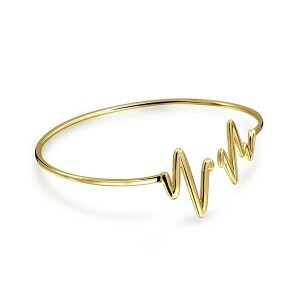 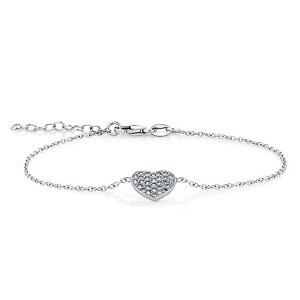 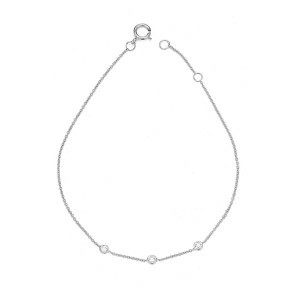 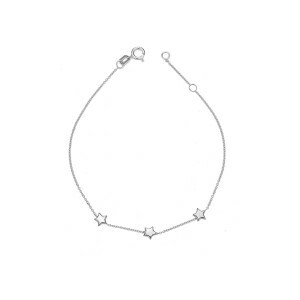 Help to complete her fashionable look with this distinctive heartbeat bangle bracelet. 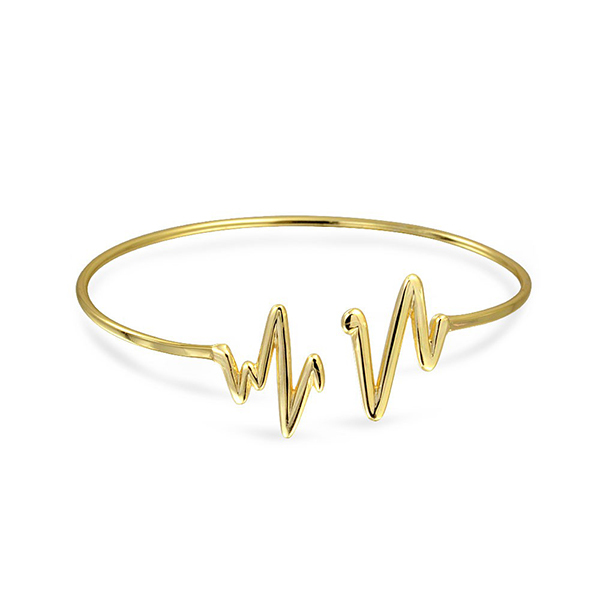 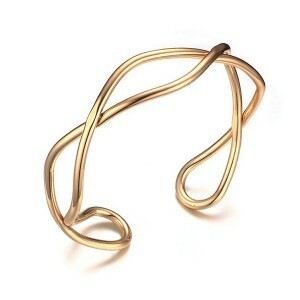 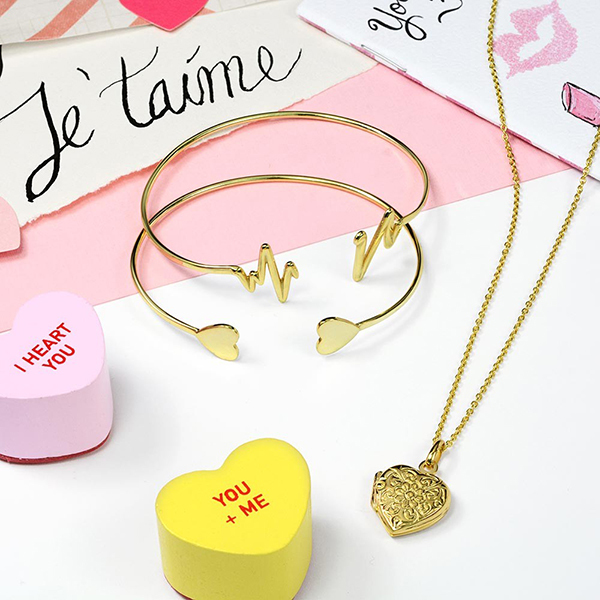 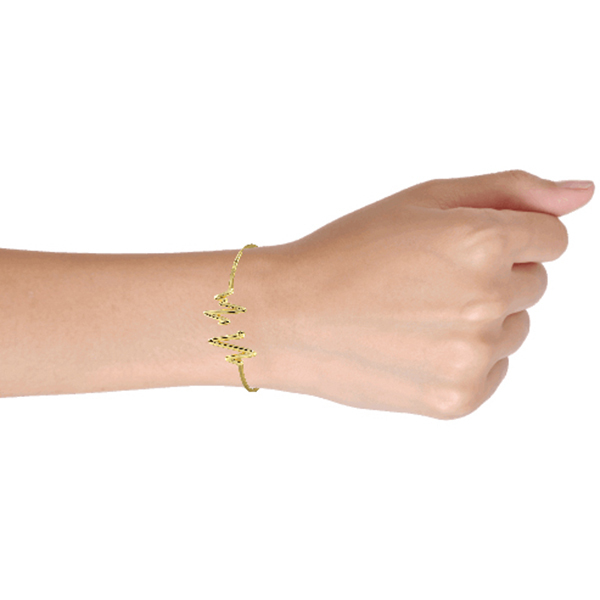 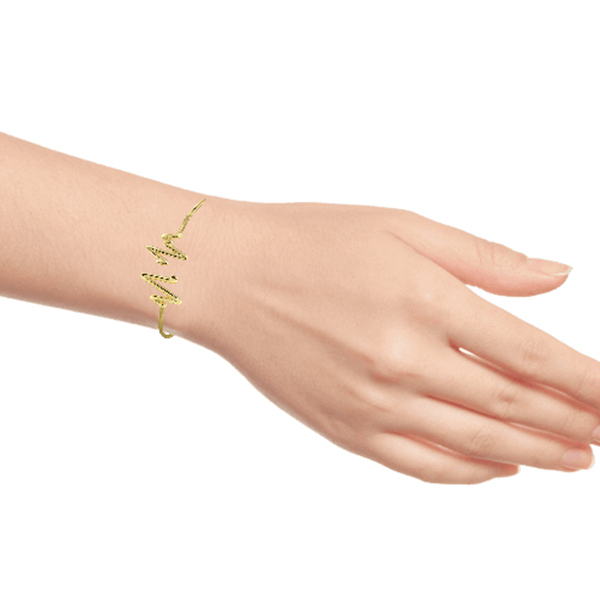 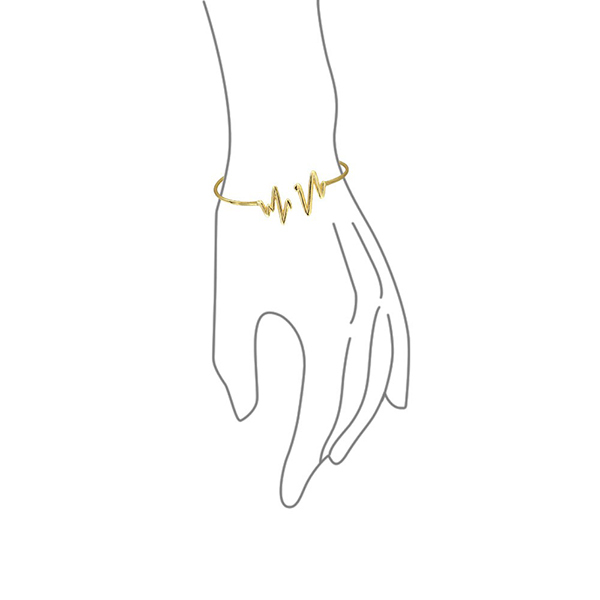 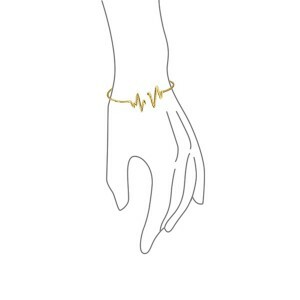 With a modern feel, show her that your heart beats only for her with this cute gold plated stackable bangle. Perfect as one of her Valentines Day gifts, the heartbeat pattern says love while sterling silver fashion jewelry bracelets say style.